Designed and built in the UK, the NEW LTE Touchclave-E autoclave combines a high level of standard features with exceptionally low energy and water usage. 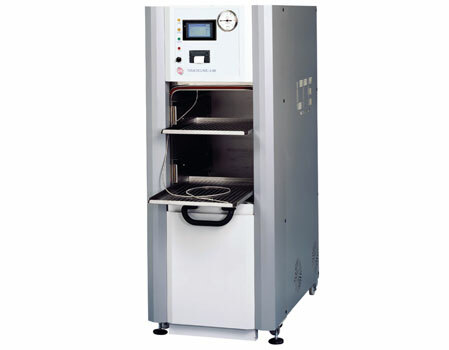 Touchclave-E is simply the most technically advanced and ‘greenest’ multi-purpose autoclave of its type. The range currently comprises of 2 x front loading models of 40 and 60-litres, both of which can be bench mounted, plus a 60-litre top-loading model with low loading height. When Touchclave-E isn’t in use, it will automatically go into one of its sleep modes, effectively going to ‘standby’ and drawing minimal power.